sailboat. : Capsule Collection: Parting with some products. Somehow along the way I have managed to accumulate nine A4 sized drawers packed full of make up. This in itself isn't necessarily a bad thing, I mean, I do love having a good look through every so often and pulling out something I had forgotten I owned. But I'm not a make up artist & I don't think I'm a real beauty blogger because there are so many others doing a way better job at talking about products that I ever could in a million years. There are many days where I don't wear any make up at all, not a scrap, because it seems like a waste when I'm just wading through literature notes and trying not to have a breakdown or dancing around the living room, with a very scared looking little Ralphie in my arms, to my favourite songs. What is my life? Don't get me wrong I love make up and I think I always will. The process of sitting down and applying it is incredibly relaxing and I'm always amazed by how it manages to transform me from someone that looks very tired into someone that looks considerably less tired in the mornings. It's actual magic. But having so many things that will just expire before being even half used up makes me a little sad. It's all kind of just sitting there, admittedly looking pretty, but essentially just there, lonely and a little unloved. Also I'm finding myself becoming more and more persnickety about everything. It's actually becoming a little annoying. I seem to have developed the ability to find a flaw in everything that stops me from buying it. I'm having a ridiculous amount of trouble trying to find a simple, black, crossbody bag that I like. But long term I think being really choosy is okay. I'd rather have a small collection of things I love and really enjoy, than lots of things I think are just okay. So far my wardrobe has been halved. Gone are the endless amounts of floral dresses. They're not me anymore. And sometimes change is really nice. In are simple flowy tunics in black, white and grey. Perfect. Beauty product wise I'm slowly going through everything. I've had such a bad reaction to something recently, which serves me right I think because I've been trying out so many new things. I've given away a lot of body lotions and other skincare products because I'm determined to find a few that really work for me and stick with them. I'm going back to basics and I think it'll be better in the long run. In terms of make up these are the things I've managed to part with so far but I'm hoping to use up a lot more in the coming weeks. I think I'm allergic to something in this so I can't give a well-rounded review because I only used it a couple of times. It did feel nice on my skin until it started to irritate, but I do have particularly fussy skin at the moment and I imagine it would be a lovely little product for more normal skin types. Oh how I loved this foundation. It's almost all gone and certainly well and truly past its use-by date. Perfect for dry skin, it gives a really good medium to full coverage & it's totally worth the money. This is a classic. Do I need to say any more? It can look a little heavy if I'm a little too liberal with it, less is definitely more. Right now though I've fallen for the Seventeen Stay Time concealer which is a little lighter in texture so I'm taking a break from the Lasting Perfection for the time being. I don't know how long I'll last without it. Maybe the Seventeen concealer is a fling, but it might turn into a more long-term thing, we shall see! This used to be my favourite make up product ever and it certainly used to have a real cult following. It's pricey and the shade range is limited, but it pretty much covers everything. Seventeen, who are on fire with their concealers right now, have just come out with the Phwoarr Paint concealer and it's really similar to Boi-ing but SO much cheaper so I think I'll be reaching for that from now on. Another cult product and I used this daily for years until one day I stopped and discovered that I didn't really miss it. It's an extra step I thought I needed but it turns out I don't really. The lightest shade is incredibly brightening & I used to use it on top of another concealer, right on the inner corners of my eyes where my dark circles are the most intense. Lovely product, but one I probably wouldn't repurchase any more. I've been through at least three bottles of this primer, which is crazy to think about. It works wonders at giving dry skin a real glow without being greasy or slippy in any way. And if I remember correctly it smells a little bit like cake, but I may be making that up. It's been a long time since I last used this & the price has increased so much that I don't think I'd repurchase again. Really impressed with the colour of this concealer because it can be insanely difficult to find very light shades on the highstreet. Unfortunately this is up there with some of the worst concealers I've ever used. Something about it doesn't work with my skin at all and it disappears completely within about an hour. I remember talking about this in a disappointing products post but I held on to it so I could give it another try. I'm still not a fan though because it highlights every single dry patch and clings to it like its life depended on it. 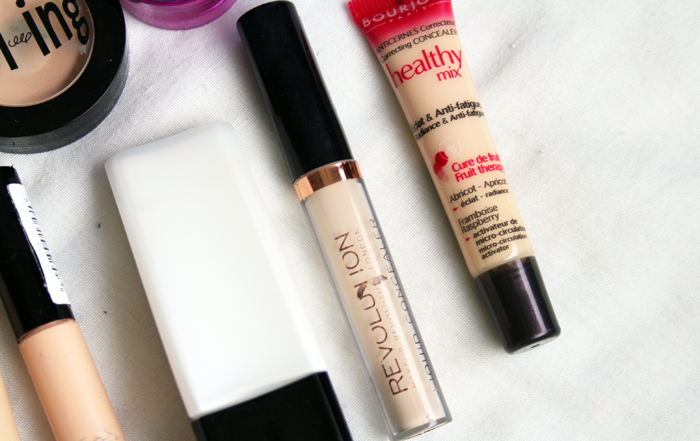 Love the Healthy Mix foundation but the concealer doesn't impress. The concept of this is really interesting. I love the idea of not having to have lots of different lip liner colours to match bright lipsticks, this works for all shades. And it works to a point. It's not the most amazing thing ever, but it's pretty good. Not bad for a few pounds! There was definitely a period of time when these were really popular. 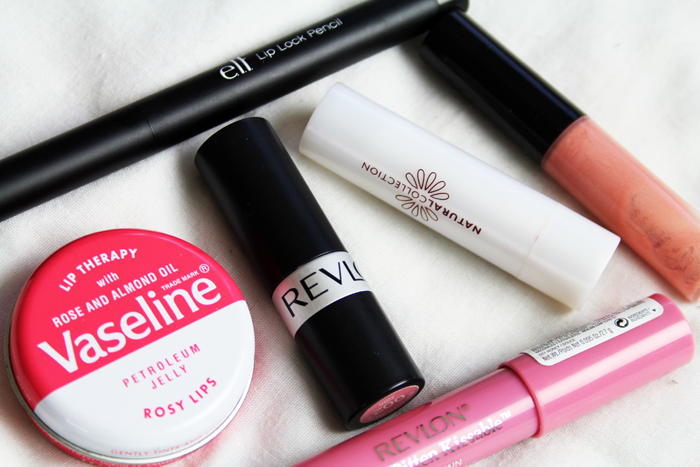 I still love tinted lip balms but I'm not the biggest fan of vaseline. This has been in my make up drawers for WAY too long. I think I wore this a lot back when I very first started blogging, so it's time for this baby to go! I remember really liking it, but I'm not such a fan of matte lips any more so I don't think I'd repurchase. I loved this so much, but I went to use it one day and it had a really odd scent to it that it didn't have the day before. I kind of miss it, but I have a ridiculous amount of lip products and I'm on a bit of a gloss kick at the moment. Not sure I'd purchase anything else from this range now I know they develop an odd scent. When I wasn't the laziest person ever, I LOVED this! So affordable and it's just great. Mostly my glasses cover my eyebrows now so it's a step I tend to skip. But this totally helped me out when I had one too many sailor jerry's, got home and decided that specific moment would be the best time to pluck my eyebrows. It wasn't a good time to do that. I somehow ended up with a little bald patch. But this kit fixed it so I didn't have to go out looking super odd. Thanks ELF! This is my first step and parting with some eyeshadows. I don't know why it's so difficult for me considering I haven't worn any eyeshadow in about a year! Surprisingly this hasn't dried up and I've had it for the longest time so I certainly got my money's worth! I really liked this. It kept my eyeshadow on better than almost anything else, but as I rarely wear eyeshadow and this is definitely way way past it's use-by date, it's time to say goodbye. I found this even more difficult to apply than it looks like it would be. And the faff to get it on my lashes wasn't really worth it. It made my lashes look pretty, but no better than something like The Falsies from Maybelline, which is almost infinitely easier to apply! This is perfect for minimal make up looks because it gives such natural looking lashes. This gives the prettiest fluttery lashes ever. I think I might be a convert to lengthening mascaras over volumising ones for the first time in my life. Maybe. 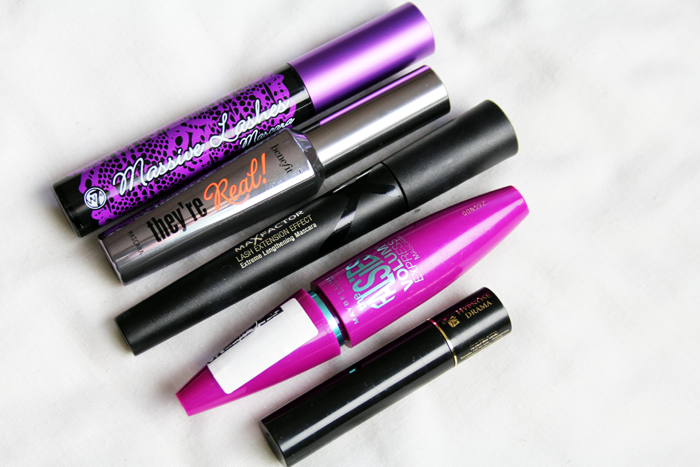 But this is still my ultimate favourite mascara. 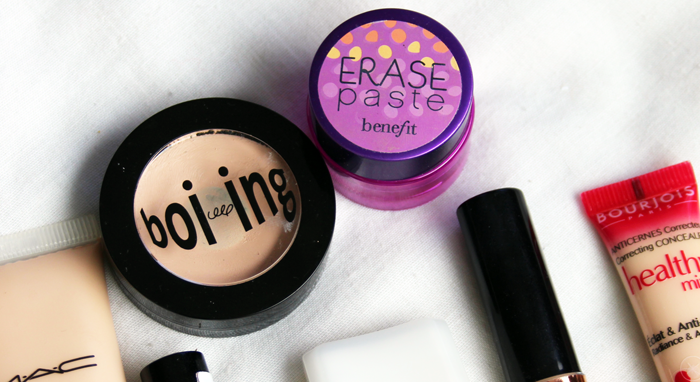 It just works so well, no fuss, no smudging and no flaking. Love it. This is my last little sample of this, somehow I managed to accumulate a lot of them! It's nice, but I'm not convinced it's worth the full size price tag! With the help of a few acrylic lipstick holders & parting with these products I've cleared enough drawer space to fit in my nail polishes and some skincare. Not bad as a starting point, but there's so much more in there that I don't use and could part with. Hopefully one day I'll be able to fit all my make up and face skincare into two make up bags, that's the aim. But I'm not sure how likely that is. Time will tell! I've gotten so picky about my makeup and skincare too! I used to have shelves of makeup, but I also got super picky and my skin got super fussy. I went and did a big cleanout and it was embaaaaarrassing how many things were expired or just....so not my color anymore. I'd never be able to have this good a clear out of my makeup, I'm just too much of a hoarder! Oh man, I love They're Real, I can just never get it off...! There is definitely something very therapeutic about having a good ol' clearout, looks like you've done good here Jennie! I'm not a fan of They're Real!, either, I've nearly finished my little tube and I'm so glad haha! I love falsies - it is my go-to mascara! 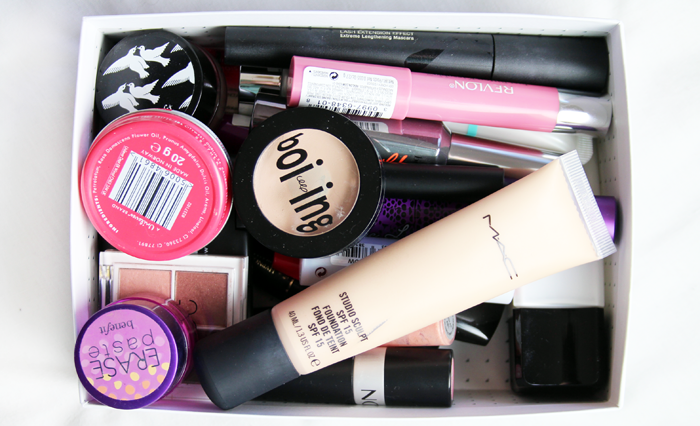 Oh I think I need to detox my beauty drawers as well! Completely agree about the Benefit They're Real - I just couldn't see the fuss. I'm so glad that I wasn't the only one underwhelmed by They're Real! It just... didn't do anything for my lashes, and flaked/smudged a bit, something that never happens with my lashes. I kept using it, hoping that it might start working, but I would never repurchase. I've wanted to try that Illamasqua primer for ever, but the price is getting a bit crazy, so may have to find an alternative! 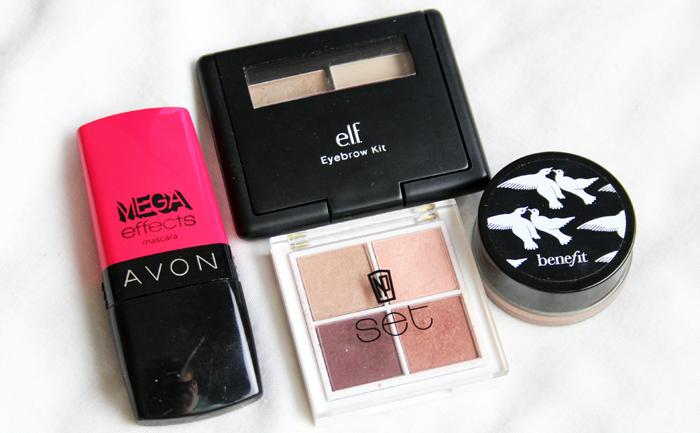 I'm probably the worst beauty blogger in the world as I have barely any makeup! I find that if I have more than two of anything then it just feels like it clogs up my makeup bag and then I also have to make the decision of what to wear in the morning. It's good that you've having a sort out! I love the collection concealer, it's so cheap but so good, been using it for years! I need to go through things properly to reduce my stash. I would love to be able to only have a couple of drawers but it's all so pretty! I'm the exactly opposite of you with they're real! I love it sooo much. Just goes to show one thing wont suit everybody. Amazing post. 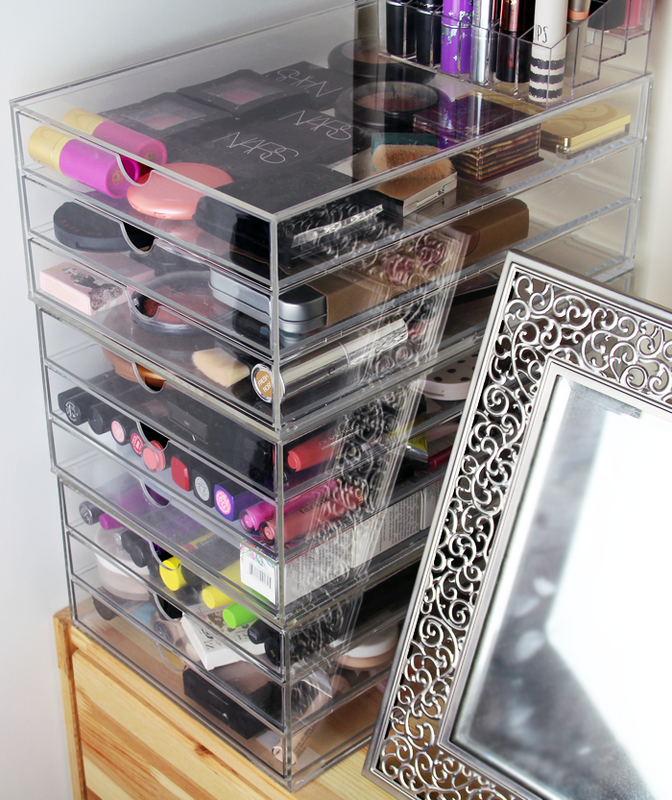 I so need to organize my make-up as well! I find these posts so useful: we load ourselves with products without thinking much about it and we end up use a third of them, half if we're really good! About the products you decided to gave away, one thing I always do with mascaras is cleaning up brushes I liked and keeping them. I use them either as an eyebrow spoolie or to remove clumps of mascara from my lashes. Shamefully I think I've actually got products stored right away from as long as 10 or so years ago, how awful is that?! 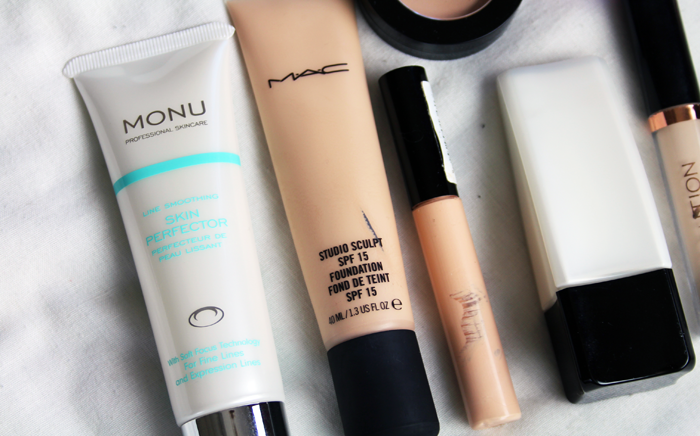 I'm now excited to try these seventeen concealers now because i also swore by natural collection and boing, eek! I also agree with you on the benefit mascara, it just doesn't do my lashes any favours at all. This is such a fabulous idea! I definitely need to go through my stash and makes some adjustments! I'm glad I'm not the only one who finds sitting down and putting on makeup relaxing!